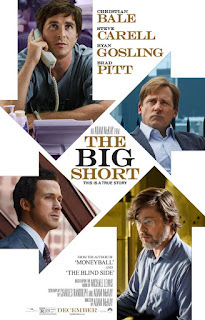 If this list were instead ranking these films based solely on enjoyment and sheer likability, The Big Short would be damn near the top of the list. Unfortunately, that is not the case. 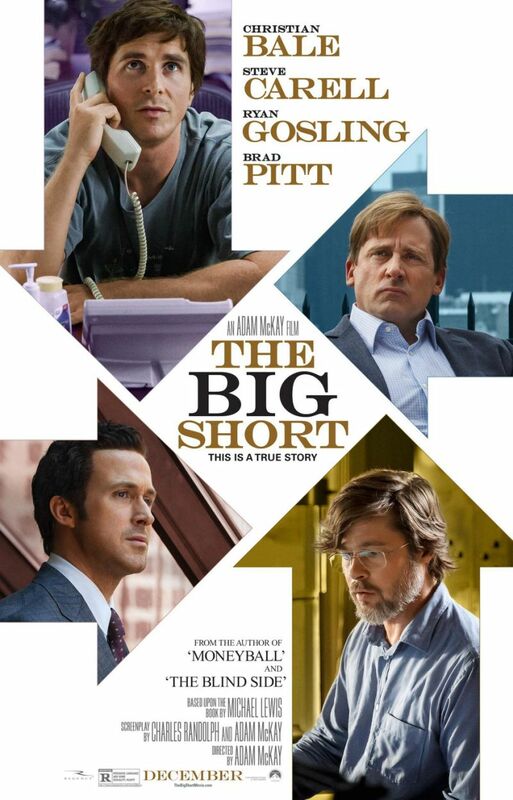 I wouldn't ever go as far as labeling The Big Short a bad film, but I don't really think it's a very good one either. It's packed with exhilarating performances and it oozes with energy and fun directorial flourishes, but the film's narrative is lost along the way due to constantly jarring tonal shifts and the pacing falls wildly off the rails frustratingly early on. What we're left with is a fun and enjoyable film that offers both comedy and drama, but there just isn't anything particularly special about either of them. Much like The Big Short, Spielberg's war thriller Bridge of Spies is a perfectly fine film in a variety of ways, but doesn't really amount to anything exciting. The film is well told, and boasts reliably superb performances from all involved, but it lacks a certain oomph to push it into greatness. I understand that the film targeted the political side of this exchange, but it causes a few too many scenes to drag and it offers a final sequence that seems to last forever. 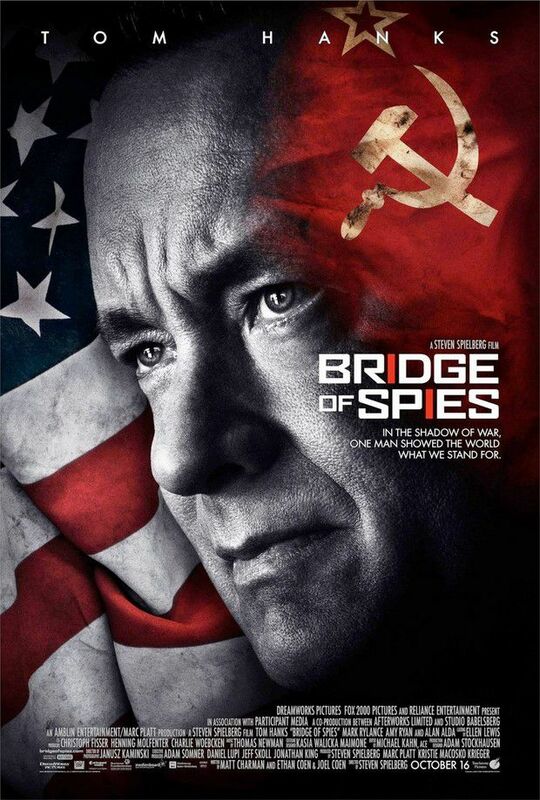 It's filled to the brim with nice, intricate character moments but Bridge of Spies just isn't exciting enough to stand out against the rest of the pack. 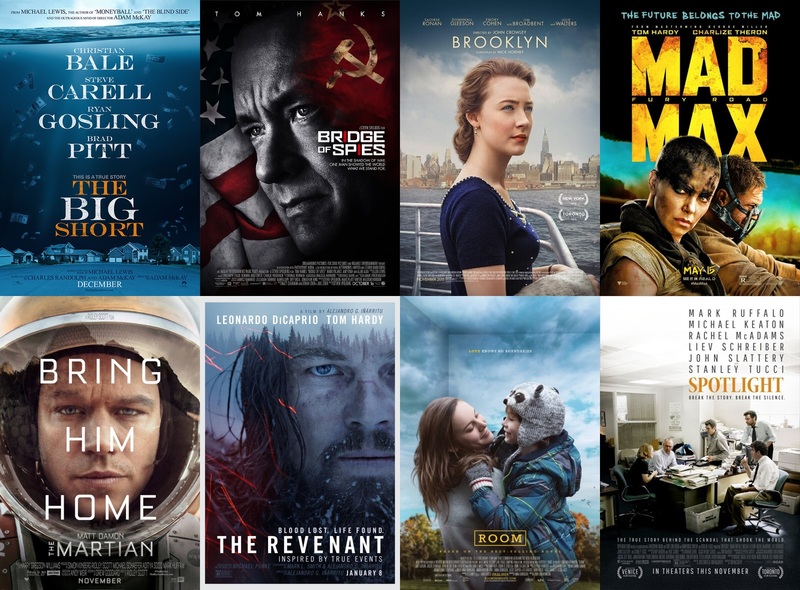 I recently read a review for The Revenant that opened with the line "How many great scenes does it take to make a great movie?" and, in all honesty, I cannot think of a film that poses that question as much as this. The Revenant is an utterly thrilling cinematic experience, and it boasts world-class cinematography and terrific performances. But its central character is woefully one-dimensional, and in between a handful of A-grade sequences (the opening battle, the final fight, that bear attack) we're left with a consistently well produced film that doesn't quite keep the narrative as compelling as it should do. In the moment, The Revenant is sensational, but its thin characterization for its protagonist forces the impact to fade much faster than it should. The Martian didn't have any right to be as good as it was. It was the third film in three years to tell a story set about space exploration and/or abandonment, and while it may not offer the thrilling weightlessness of Gravity or the ambitious scientific knowledge of Interstellar, Ridley Scott's foray into the genre had its own secret weapon: comedy. The Martian is absolutely not a comedy, but it's loaded with humour to the point that its Golden Globes categorization is almost forgivable (almost). 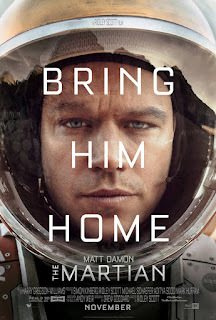 Matt Damon was a fantastically likable lead in a story that was as entertaining as it was thrilling, and as visually spectacular as it was funny. It may not live entirely up to similar films from the last few years, but The Martian found yet another new way to tell a familiar story, and it deserved every bit of praise that came its way. 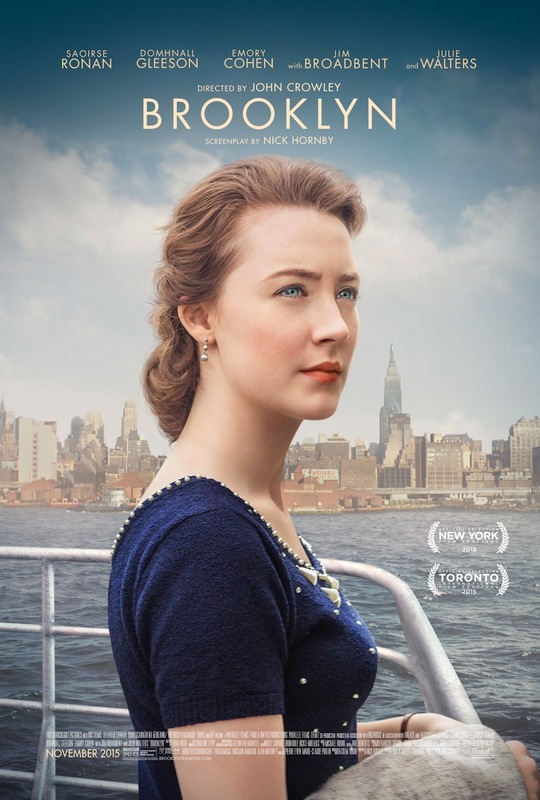 Cringe-inducingly horrible tagline aside, there was an awful lot to like in Brooklyn. Saiorse Ronan gave her best performance to date as a young Irish woman looking for a fresh start in the U.S.A, and the film is so delicately written and affectionately told that it's almost impossible not to fall in love with every character it offers. Admittedly, Brooklyn loses its way slightly when we return to Ireland in the film's second half, but this is a minor quibble in an otherwise original, heartwarming and uplifting feature. Brooklyn could have been a film that brought on eye-rolling from everyone who watched it, but instead we all fell in love with its rich characters, pleasant scenery, and genuinely moving story. 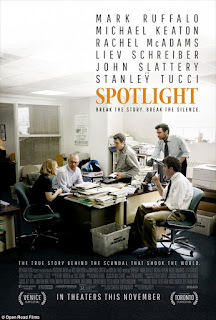 Spotlight's naysayers frequently argue that the film is only as powerful as it is due to the true story that it tells, but I could not disagree more. It's entirely possible to tell a harrowing true story badly and have it lose impact: just ask Angelina Jolie. 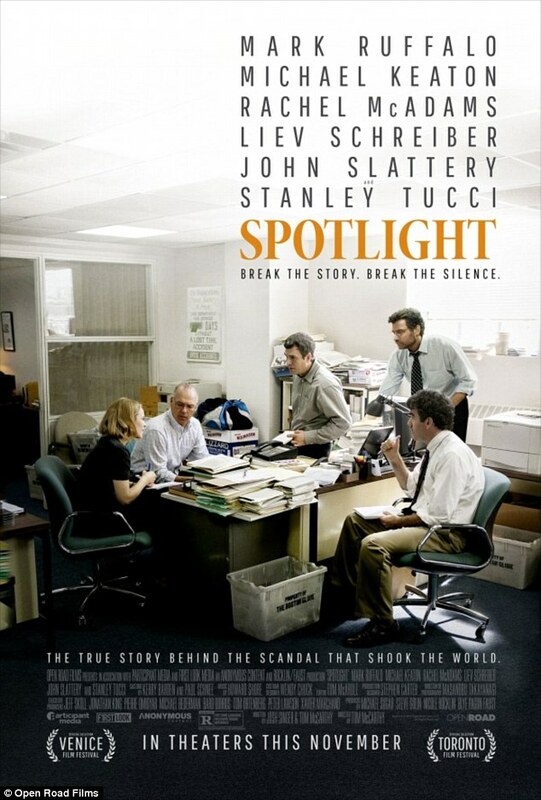 Spotlight's story is undeniably horrific, but it's told with an alarming dedication to its characters and it consistently places narrative construction and character dynamics above big showy speeches. The film is so far from your standard Oscar-bait drama that almost every part of me is praying it will march to victory come the ceremony, but even if it doesn't Tom McCarthy can rest easy knowing that he made a powerful tribute to a shocking true story that hits perfection in terms of direction, screenplay and performances. What a film. 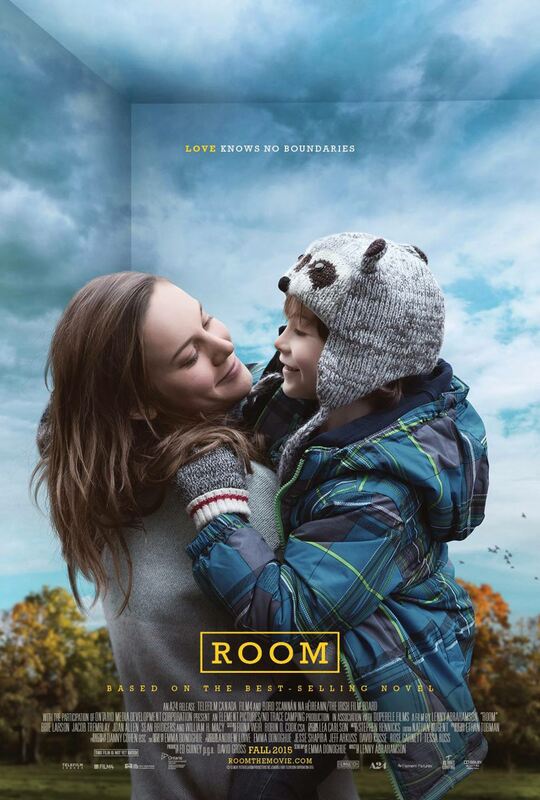 I only saw Room less than a week ago, but it isn't a film I'll be forgetting for a very long time. There are moments so intense that I was sure the people around me in the cinema could hear my heart pounding. There are pieces of dialogue so intricate and emotionally charged that almost every viewer in the room was reduced to tears. Adapted seamlessly from her own novel, Emma Donoghue's screenplay allows Room to tell an impressively emotional story from two notable perspectives, and both are equally successful. Add to this two stellar performances from Brie Larson and the seven year old Jacob Tremblay, and you have something quite wonderful indeed. Room certainly isn't all smiles for each of its 120 minutes, but when you leave the screening room and look out at the world, you can't help but feel overloaded with wonder. Only the best films can evoke a reaction that strong. And, here we are. It topped a multitude of critics' year-end lists (as well as mine), and it changed the way that audiences will think about action films forever. 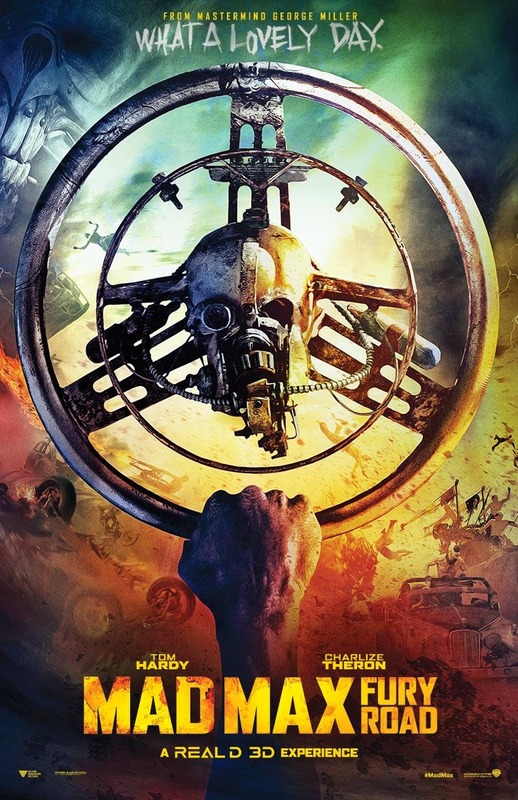 Fury Road is an unprecedentedly thrilling film that offers a refreshingly simple base narrative, but builds on this with powerful thematic content, impressively layered characters, intricate world building and breathtaking visual design. But my favourite thing about Fury Road? It doesn't treat its audience like idiots. It lets us work this world out for ourselves. It doesn't pack itself up with exposition and run every last detail dry. I've now seen this film five times since it released in May last year, and I still feel as if there is more for me to uncover. Mad Max: Fury Road is to the action genre what Star Wars was to Sci-Fi. In thirty years time, this will be a genre classic. No matter the outcome at the end of this year's ceremony, this is the film that will be remembered and talked about in half a century's time. Mad Max: Fury Road is contemporary film-making at its most daring, and I wouldn't have it any other way. My full Oscar Predictions list can be found here.